I finally got my first peony order of the year in yesterday. I was planning to place my order with Solaris Farms. 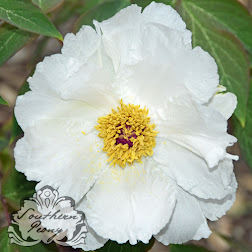 I had been waiting to place my order until now because I had other large expense in previous months like new tires for my car, a trip to the 2015 American Peony Society Convention in Kentucky, etc. 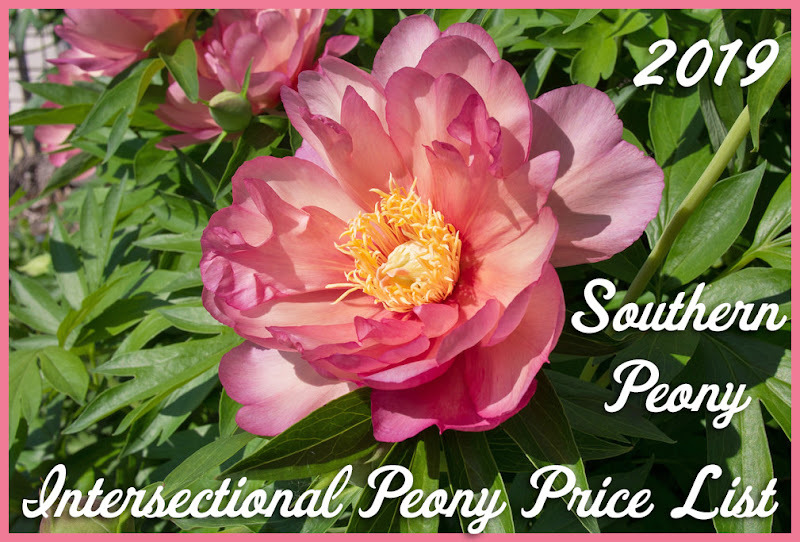 Anyway I guess I waited too late in the year because one of the peonies I wanted to order from Solaris Farms was already sold out for 2015, Peony 'Sonoma Velvet Ruby'. I really want to order this peony because the red color is nice, but another reason is because I am looking for a red intersectional whose foliage doesn't get brown spots on it very early in the season. Both of my other red intersectional peonies, Peony 'Scarlet Heaven' and Peony 'Lafayette Escadrille' get the Intersectional Peony Fungal Disease Peony Blotch on them. 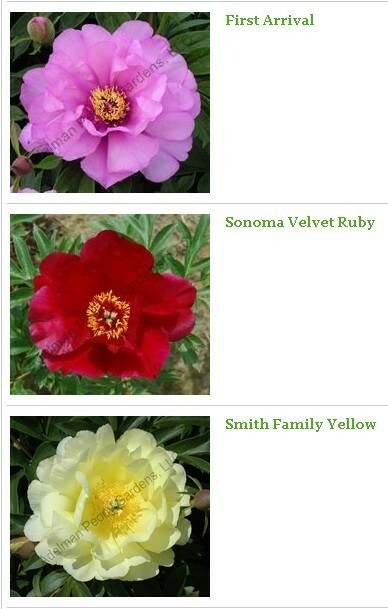 So I'm hoping Peony 'Sonoma Velvet Ruby' will have different enough genetics that perhaps it won't get this disease.